North Carolina Chapter 126, located near Asheville, NC, is composed of NAWCC members living in both the Western part of North Carolina and the Northwest area of South Carolina. This chapter is supported by both clock and watch members whose interests include the areas of collecting, history, repair, and education. This chapter also prides itself in undertaking repair and restoration projects of clocks from a variety of locations including: Clemson, SC; Hendersonville, NC; Seneca, SC, Yanceyville, NC, Walhalla, SC, Albemarle, NC, Asheville, NC and Marshall, NC. 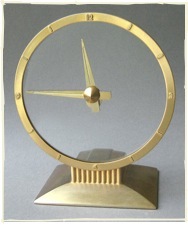 These restorations covers shelf clocks, wall clocks, street clocks, and tower clocks both electrical and mechanical. Members of the Chapter teach watch and clock repair both by class and by hands on training. The Chapter welcomes new members and visitors and invites them to attend meetings and become a part of this local Chapter and its many activities. As part of our education mission we invite people to bring old clocks and watches to our meeting to find our more about them. Directions: Up the hill on right at the Hendersonville Road – Long Shoals Road intersection. About 2 miles east of I26 exit 37. The meeting room on the 2nd floor can be accessed using either the elevator or stairways. 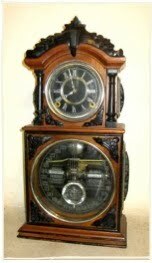 Have an old Clock or Watch you would like to find more about? Bring your watch/clock to the next meeting and let the experts take a look at it. Our members have decades of experience and access to online and printed research materials to identify and see what similar items have or all selling for. Clock and Watches have historical significance are an interesting hobby. American Classics Elgin, Hamilton and Waltham Produced a huge amount of different watches and styles. Value is based not only on the condition and quality but also on how many were made. The “Mickey Mouse” is a cheaply made “dollar watch” but highly collectible - a very rare early vintage Betty Boop is a treasure. However many of us have watches and clocks in our family that have been handed down and are in the words of the TV commercial “priceless”. Bring your’s to one of our meetings and find information about your family heirloom.